If you have a personal residential pool, chances are you — and everyone you know — has been getting plenty of use out of it this year. As promised, the sunshine state has delivered us a hot summer full of pool-perfect days. Undoubtedly, you’ve also had to clean your pool more than a handful of times, and with all the use lately, you may have felt like it needed to be done more. If you are cleaning your pool yourself or relying solely on cleaning equipment such as a skimmer or the pool’s filter, you are not only missing out on some prime swimming time, but you may be contributing to unsanitary swimming conditions for you and all of your pool guests. To save you time and make your swimming experience comfortable every time, you should leave routine pool care and cleaning to the professionals! Before you hire a pool care company to clean and service your pool, there are a few things you should look for. 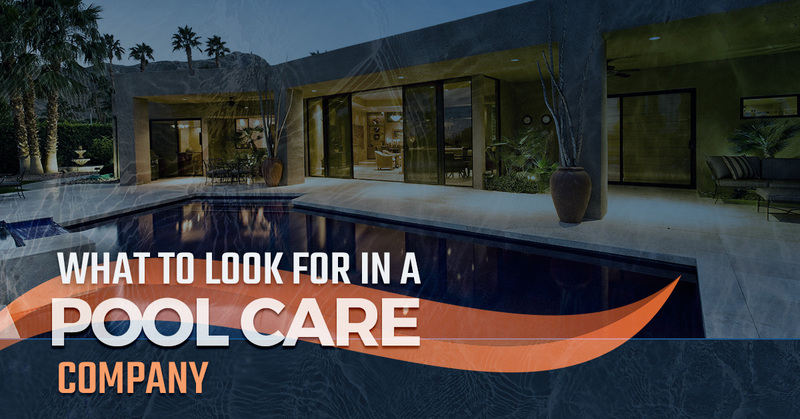 Here, we will offer some tips and suggestions for finding the best pool care company for your home pool needs. One of the biggest indicators of how capable a pool care company is to service your needs is what services the company offers. If you are looking for pool cleaning and that is all the company does, they may do really well at pool cleaning, but if your filter goes out, your pool is leaking, or you need your pool surface repaired or replaced, your trusted pool cleaning company may not be able to help. To find the best pool service company near you, we recommend finding a full-service company. That way you can trust the same team to handle all of your pool service and maintenance needs. 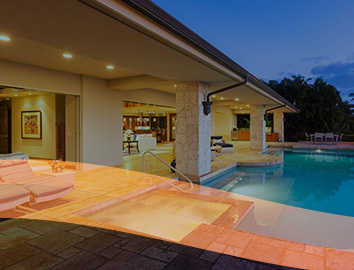 How long a pool service company has been in business is not always the best indicator of how well they will be able to meet your needs, but it does give you some indication about their reliability as an established organization. What really matters is the experience of the pool technicians who will be performing your work. Check out your prospective pool company’s website and testimonials or ask around to find out who has used their services to find out what their standards of service are. Does the company bring their own equipment and clean up their own messes. Does the pool care company require formal training or certification of their employees? Do they require a maintenance contract? Maintenance contracts are a convenient way to save money, like any other subscription. However, some pool companies use contracts to lock you in and drop their level of service because you have to fulfill your contract. If a company offers them, it is not necessarily a bad thing, but a red flag is a pool cleaning company that requires pool maintenance contracts. Certification, licensure, and insurance are not required for pool care companies to carry. However, it shows a strong commitment to the industry, the company’s employees, and their customers. Certification lets you know, as a customer, that the employees are professionally trained and have proved their skills to the industry. Licensure helps to give you peace of mind that there is a governing body that the company is responsible to and can back their ability to perform work for your pool. Insurance lets you confidently allow the pool technicians to perform work, knowing that if an accident happens, you will not be held financially responsible for the injuries sustained by the pool service employee. All of these things let you know that the pool company you have chosen is invested in their business and their employees. If you are looking for reliable pool care in Seminole County, Celebration, and Davenport, look no further than Florida Pool Care Pros! We provide quality pool care service and maintenance to residential and commercial swimming pools, without a required service contract. Because our work speaks for itself, we are confident that you will stay with us. We are certified, licensed, and insured, and we provide the best quality work in the industry! Contact us for your obligation-free estimate today!